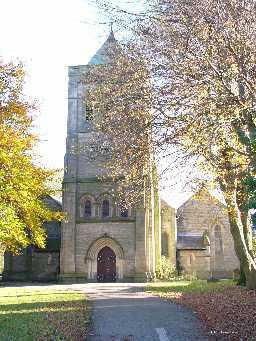 We have a very strong link with St. John’s Church in Shildon. We attend many services in Church including Harvest, Christingle, Easter and an End of Year Service. 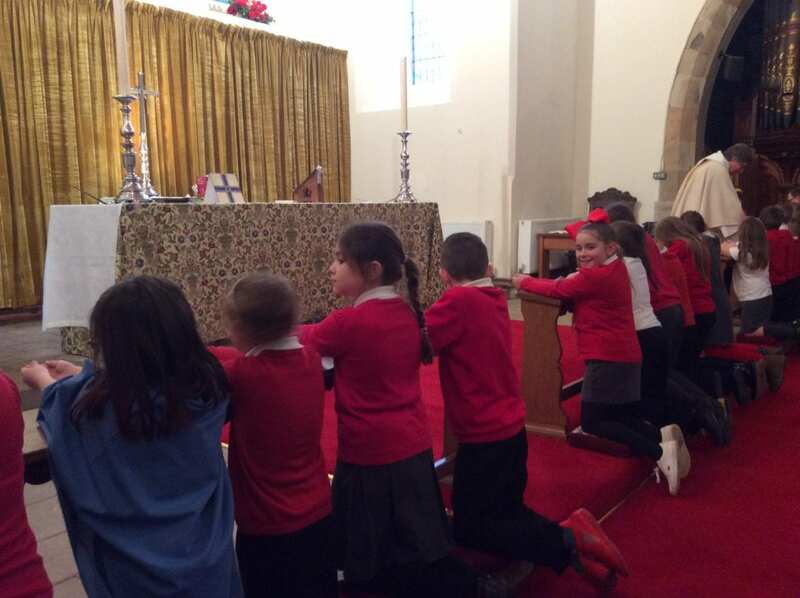 Reverend David is a welcome visitor to school every week to deliver Collective Worship and works alongside teachers and pupils in all the classroom. 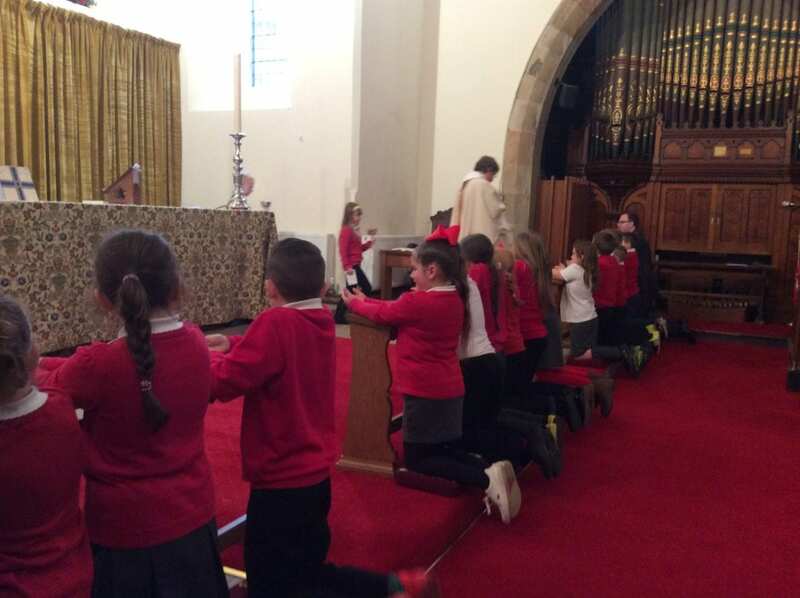 Many different groups of children of all ages help to plan and deliver Collective Worship and our termly Eucharist Service. Parents and Carers are very welcome to attend all services in Church or at school. 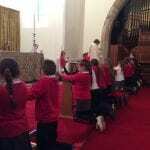 On Thursday 9th February, Year 4 led and took part in their first Eucharist Service at St. John’s Church at 1:30pm. 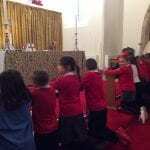 Every child took part in some way by reading, acting, singing and reading their own prayers. The service was a very special reminder that we are all important and special to God and that He loves us with an everlasting love, too amazing to understand fully. A big thank you to all parents, carers, friends and family who came to support us. 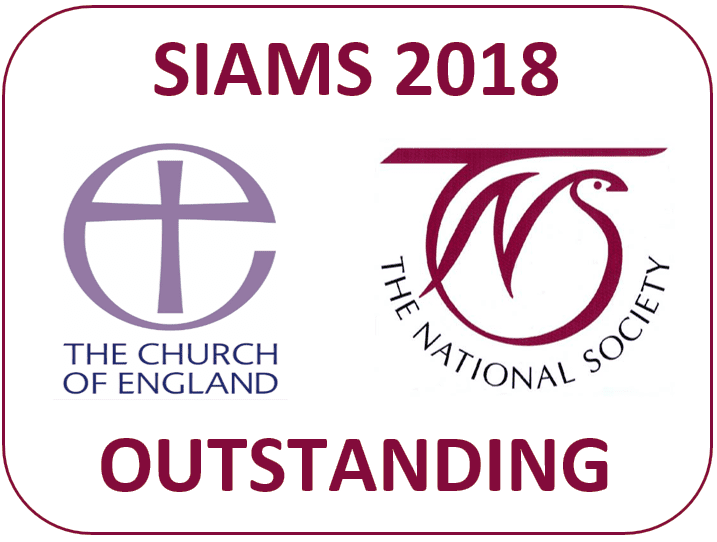 To find out further information please visit the St John’s Church website.